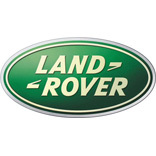 Genuine Land Rover accessories suitable for the Land Rover Defender. Moulded Spare Wheel Cover for all tyre sizes. Features Defender logo. Inc. VAT: £127.51 Inc. VAT: Info UK VAT charged at 20%. Ex VAT £106.26 Ex VAT Info Outside of EU and EU VAT registered companies only (not UK). Inc. VAT: £84.82 Inc. VAT: Info UK VAT charged at 20%. Ex VAT £70.68 Ex VAT Info Outside of EU and EU VAT registered companies only (not UK). Inc. VAT: £68.33 Inc. VAT: Info UK VAT charged at 20%. Ex VAT £56.94 Ex VAT Info Outside of EU and EU VAT registered companies only (not UK). Inc. VAT: £82.64 Inc. VAT: Info UK VAT charged at 20%. Ex VAT £68.87 Ex VAT Info Outside of EU and EU VAT registered companies only (not UK). Loadspace Mat - 90 station wagon upto 02MY. Anti-slip chequer design with Land Rover logo. Made from a durable polyurethane material. Loadspace Mat - 90 station wagon 02MY only. Anti-slip chequer design with Land Rover logo. Made from a durable polyurethane material.